Far from here there is a castle that is as big as a city, and in that castle there lives a prince who doesn’t want to be a prince. 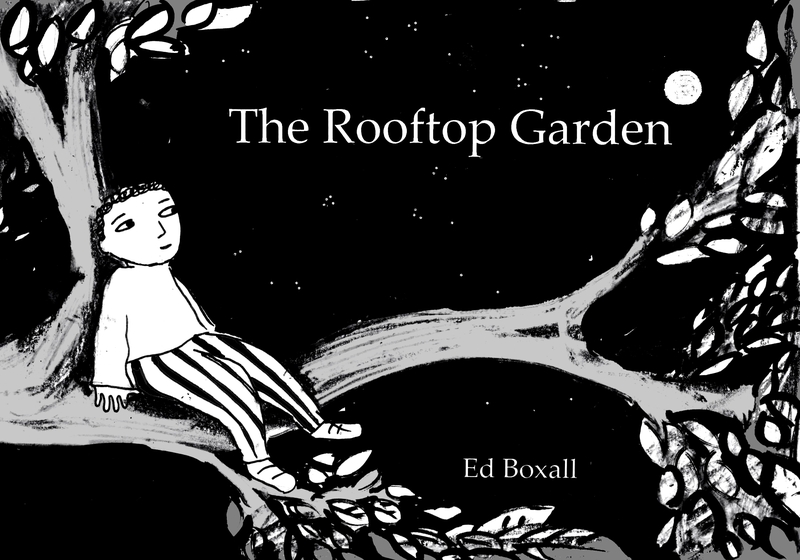 So, when everyone else is asleep he climbs dusty and forgotten stairways to the rooftops…where every night a garden grows. This book was first published in 2010 and has been unavailable for a long time. I’ve now improved on the original book by working on the illustrations and text. I’ve also created several completely new illustrations that let the reader explore the garden further and get to know the prince better. The prince’s friends now have names and personalities and the garden is bigger and wilder. The story is more satisfying and magical for both children and grown ups. The book measures 15 x 21 cm and has 36 fully illustrated pages. It costs £6. To purchase please click below and I’ll send it flying to you in a few days!